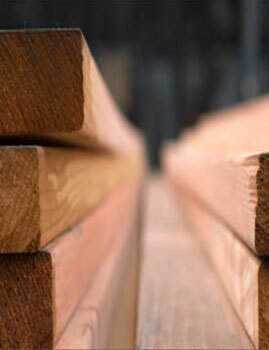 COBB LUMBER SUPPLIES LUMBER AND TIMBERS IN THE FOLLOWING SPECIES: PINE, FIR, CEDAR, MIX HARDWOODS, REDWOOD AND CYPRESS. SIZES INCLUDED: 1″ THICKNESS BY 4″ WIDE THRU 16″ THICKNESS BY 16″ WIDE; LENGTHS FROM 8′ THRU 40′ ARE AVAILABLE. ALL ITEMS ARE AVAILABLE IN DIFFERENT GRADES. LUMBER AND TIMBERS CAN BE MILLED, SIZED AND CUT TO CUSTOMER’S SPECIFICATIONS. 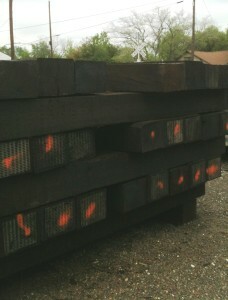 Treated wooden railroad ties hold up some of the heavies’ railroad shipments in the world every day. It is estimated that there is over 700,000,000 wooden ties are in use in the U S today. That means that not only are these railroad ties holding up the cars but they are holding onto some 22 million TONS of Greenhouse Gases. That is a load that we can all appreciate.